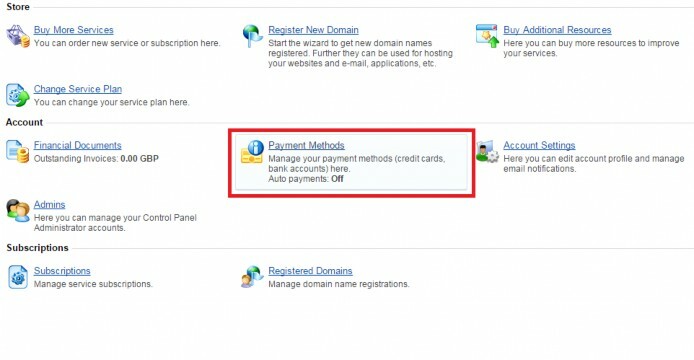 It is possible to manage your current payment methods or add additional payment methods through the Cobweb Control Panel. To add a new direct debit, follow the below steps. 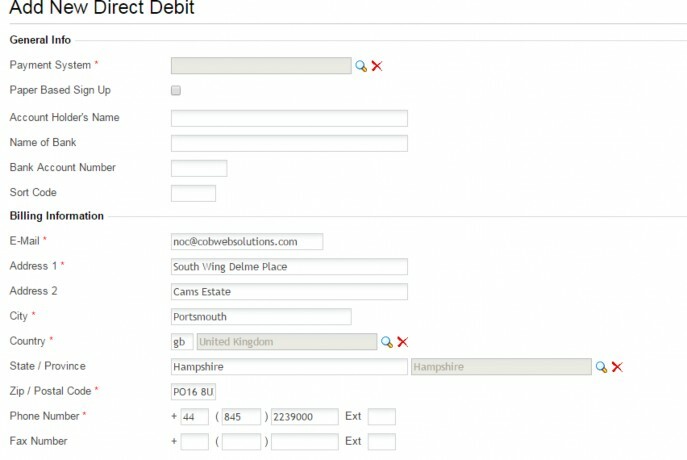 Where there is a magnifying glass please select this icon which will populate the box, select Direct Debit. Please be aware that it is only possible to sign up for Direct Debit payments online if you are the only person required to authorise debits from your account. Please be aware that some Banks and Building Societies may not accept Direct Debit instructions for some types of accounts, if you are unsure whether your bank account supports direct debits please speak to your bank. 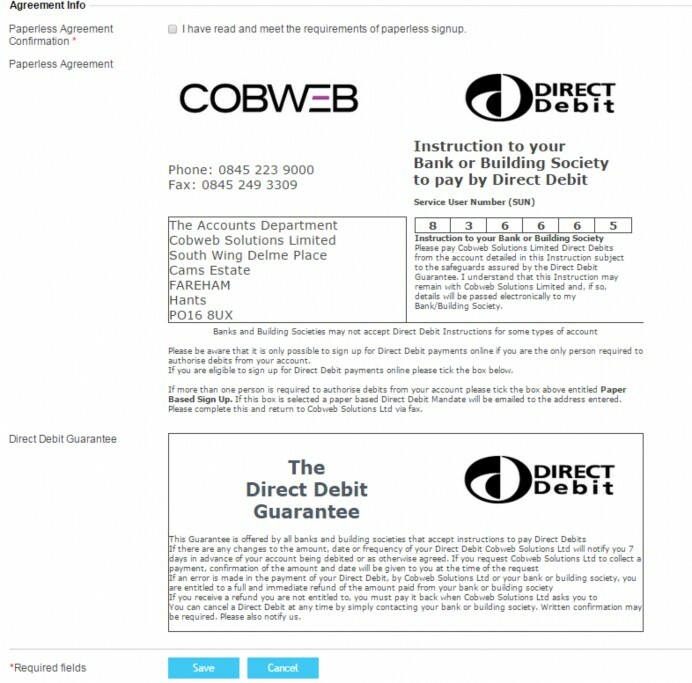 Read the Direct Debit Guarantee and when you are happy tick the box (Paperless Agreement Confirmation) and select Save. Once done, the new Direct Debit will be applied to the account and will go into a Pending state which should go into an 'Ok' state within 7 days.